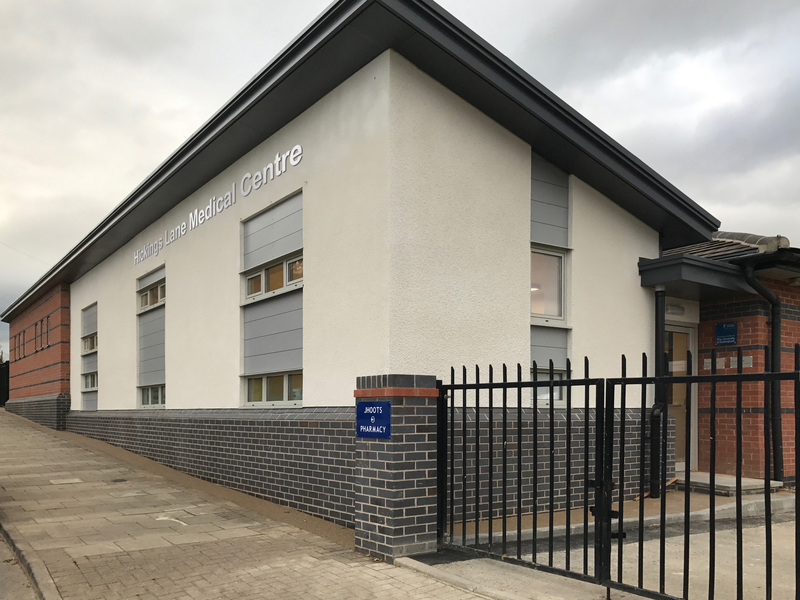 The recently completed, brp architects lead extension to the existing medical practice in Stapleford, Nottingham has been extremely well received and the medical centre highly accredited. The medical centre was inspected by the Care Quality Commission and was given the highest possible rating – whilst the brp architects lead rebuild and extension was taking place. The extension and remodelling of the existing building includes five new Consulting Rooms, a new Nurse Operation Treatment Room and associated Utility, a further three fully refurbished Consulting Rooms and Treatment Room a new staff room along with upgrades to the existing administration facilities. In addition to the CQC accreditation, we are very pleased to receive feedback from the patients and professionals at the practice. Dr John Doddy, a Principal GP at Hickings Lane Medical Centre, said: “We haven’t had any major building work carried out at the practice for 20 years so to extend our premises and bring the existing part of the building up to date is really quite exciting. “We couldn’t be happier with the overall finish and the benefits this brings, it really reflects our latest CQC rating very well indeed, which the team are all extremely proud of. “People are bowled over by the beauty of the extension. They are bowled over by the fact that someone has invested in their community. The resulting feedback is a credit to all involved in the project, and a credit to the medical professionals at the practice who provide an excellent service to the local community.